Editing is where all the elements of your project come together to completely tell your story. There is an art to editing. No question about it. For an editor, its good to know which edit software to use and where the buttons are, but true editing is a creative art form that is unique to each editor. Never underestimate the value of a good editor. A good editor can assemble your elements in a compelling and interesting order…. Utilizing the tools and tricks of the industry, offering creative suggestions or options, create an emotion, inspire your audience, and immerse themselves in your goals, your project, your success. Orange Dragin editing services can be tailored to your project needs. 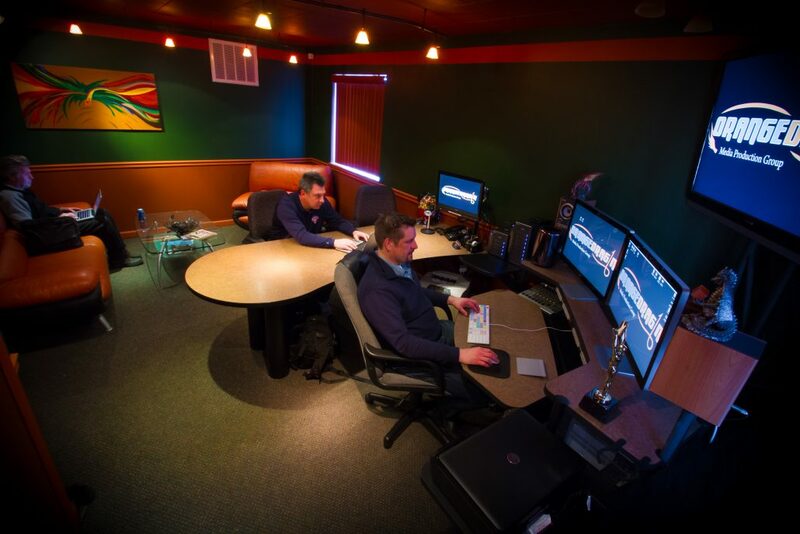 We’ve built a comfortable room for you to work with our editors at our Troy, Michigan studio. 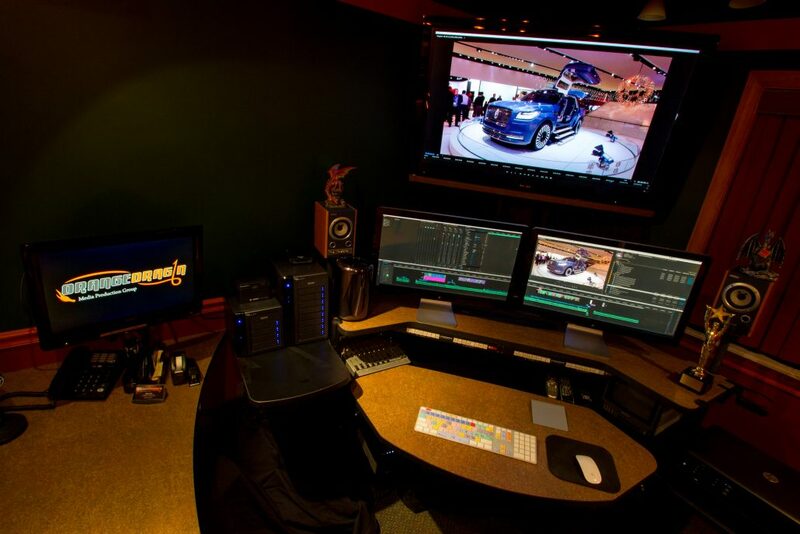 You can sit in and direct the edit with all the comforts of home but without the distractions…..OR You can provide a written guideline and trust our editor to work alone and cut your show. We create a workflow with you, so you can view rough cuts and offer suggestions without having to devote all your time to sitting in an edit room. Orange Dragin can also provide portable edit stations for projects that need “on site” editing for end of event playback or quick turnaround news stories. Or just the convenience of editing at your place of business. Whatever your project finishing needs are, Orange Dragin is your creative resource. Graphics and animation is as unique as the editing. Orange Dragin has created alliances with various artists to offer you the variety and creative options to provide the right graphics or animation for your project specifications. Orange Dragin does not want to just walk away once your project is complete. We want to make sure your project is successful and reaches your intended audience. We offer you the opportunity to help promote or market your program, if it needs this additional service. We can provide packaging options or a marketing plan. Archiving project files is an overlooked aspect of production but an important detail to consider. Orange Dragin offers several options for storing your program or project assets, whether on site or cloud based. We also suggest third party storage options.